The adaptive reuse of vacant or underused property into medical facilities is continuing to gain momentum nationwide, as many health care services are increasingly being offered away from hospital settings at the same time that patterns in the retail and office environments are shifting. That is the key takeaway from the newly released Avison Young report “Evolution of Health Care and its Impact on the Real Estate Landscape in the United States.” According to Tula Voutieros, author of the report and senior research analyst in Avison Young’s Fairfield/Westchester office, health care providers are increasingly adopting entrepreneurial real estate strategies as both technology and a consumer-driven market are driving changes in the wellness industry due to increasing costs, diminished reimbursements and high demand from an aging population. “What we’re witnessing is a deployment of health care services in many types of locations as the industry on one hand strives to cover population health and on the other hand competes for market share in a consumer-driven environment,” Voutieros said. The report states that landlords of professional office buildings — once reluctant to accept medical tenants due to the negative perception from their other office tenants — have become increasingly open to the idea as finding suitable retail or office tenants has become more difficult. “Medical office markets are seeing single-digit vacancies across the country,” the report states, “prompting renewed enthusiasm for the repositioning and rebranding of older office stock as MOBs,” or modern office buildings. The trend is not exactly new, as the report notes, retail health care operations span a spectrum of real estate facility types from urgent-care centers and ambulatory surgery centers to retail clinics, mobile clinics and medical kiosks in airports. There are an estimated 1,500 to 2,000 mobile clinics, more than 2,000 retail clinics, more than 9,000 urgent-care centers and 5,600 ambulatory surgical centers nationwide. Tracking the size of the changing market is difficult, McDonnell said, as so many hybrids exist: medical/retail, medical/office and so on. “If you have a building that’s 35 percent medical and the rest is office, it’s hard to separate medical out into its own category,” he said. However, simply declaring that a vacant office building can easily be transformed into medical space may not be realistic, McDonnell added. “There are no books or classes on (such conversions),” he said. “One of the first things you have to look at is parking — you need five spaces per 1,000 square feet at a minimum. That eliminates a lot of possibilities.” The traditional office building has a minimum of four spaces per 1,000 square feet, he said. In addition, ideally the prospective space will be in a well-trafficked area with good signage opportunities, and near a traffic light and/or turn signal for optimal egress. To accommodate the elderly and those with disabilities, the modern MOB will have wider elevators, corridors and entryways; those that comprise surgical practices or imaging equipment rooms will have more stringent requirements and regulations such as higher ceilings, at minimum 13 to 14 feet, to accommodate greater mechanical and electrical needs, air flow, and exhaust as well. Avison Young also recommends larger floorplates — the amount of rentable area on one floor — to increase efficiency, eliminate redundancy and reduce costs. Larger floorplates make more sense than contiguous floors as they allow for shared spaces and resources and eliminate costly redundancies, the report continues. McDonnell pointed to dozens of successful medical office conversions that have taken place in Fairfield County over the past couple of years. The former General Electric facility at 260 Long Ridge Road in Stamford is now occupied by Greenwich Hospital’s Long Ridge Health, Yale New Haven Hospital’s Center for Musculoskeletal Care and Reproductive Medical Associates. In Westchester, the Hospital for Special Surgery last fall opened its 50,000-square-foot outpatient facility at 1133 Westchester Ave., which is primarily made up of office space. The building was a former data center for IBM at the 620,000-square-foot complex, which is owned by Rye Brook-based RPW Group. The Interstate 287 corridor has become a magnet for outpatient centers and medical offices. Memorial Sloan Kettering Cancer Center invested $128.8 million to convert a former Verizon research building at 500 Westchester Ave. to an outpatient cancer facility in 2014. 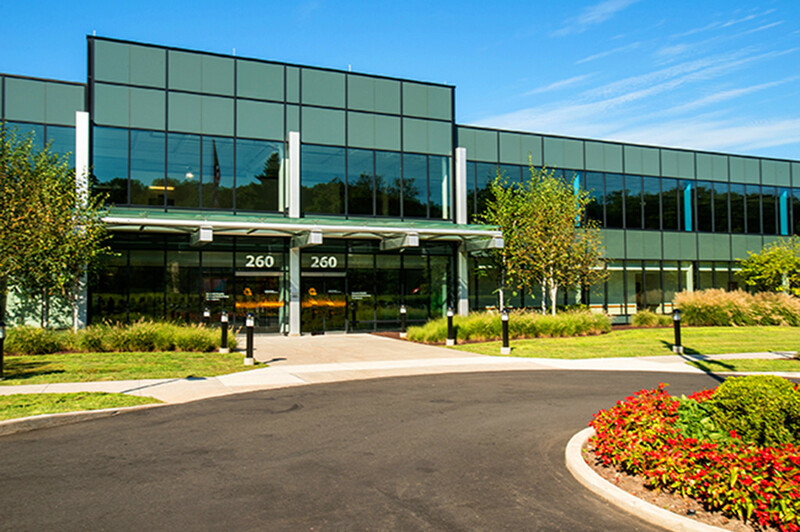 Westmed Medical Group in May 2015 opened an 85,000-square foot facility at 3030 Westchester Ave. in Simone Development Cos.’ Purchase Professional Park. Construction is continuing at 249 Danbury Road in Wilton, where Connecticut Medical Group Inc., an affiliate of the Western Connecticut Health Network, is expected to take occupancy of the first floor in July. Dubbed the Wilton Wellness Center, the building was once the headquarters of HomeEquity. McDonnell also noted that in 2017 Advanced Radiology Consultants opened a new imaging center at 30 Danbury Road, which has been vacant after First Niagara Bank closed its Wilton branch in 2014. Assisted living and eldercare facilities are also beneficiaries of the trend, McDonnell noted. Last November he joined with Senior Associate Alison Luisi of Avison Young’s Capital Markets Group to arrange the $5 million sale of the 3.81-acre site at 211 Danbury Road in Wilton, which will result in 90 assisted living and memory care units to be operated by Sunrise Senior Living. At the same time, Sean Cahill, principal and managing director of Avison Young’s Fairfield/Westchester office, and Luisi arranged the $3.79 million sale of an 8-acre, pad-ready site at 26 Beard Sawmill Road in Shelton, which has been approved for 160 units of assisted living, memory care and independent living housing to be operated by Brightview Senior Living.